What’s the Price for the 2019 Honda Insight? The appeal of reduced emissions and vastly superior fuel efficiency helps to explain why hybrid vehicles continue to grow in popularity with each passing year. After all, who wouldn’t like the thought of potentially getting as much as 50 miles per gallon and enjoying the huge savings at the fuel pump that come along with it? In this sense, the 2019 Honda Insight is a fantastic choice due to its superior fuel efficiency. In fact, its EPA-estimated fuel economy rating of 52 mpg combined ensures it is one of the most efficient vehicles currently on the road. Nonetheless, merely achieving outstanding fuel efficiency ratings don’t guarantee an excellent vehicle. Fuel efficiency is undoubtedly an important factor when choosing any vehicle, but it isn’t the only relevant criteria that separate the best vehicles from the rest of the pack. Still, this is about the only thing that some hybrids have to offer, which helps to explain why that’s what most manufacturers focus on when trying to market their hybrid vehicles. At the same time, it’s not surprising that Honda has chosen to focus on many of the Insights other features as a way to show that it’s far more than your average hybrid. Instead of focusing solely on fuel efficiency, Honda engineers made sure that the 2019 Insight doesn’t have to sacrifice too much regarding overall power and performance. Its 1.5-liter, inline 4-cylinder engine and electric motor work together to produce a total of 151 horsepower combined, which is much more impressive than it sounds considering the Insight’s small size and lightweight. Moreover, the inclusion of a one-speed direct-drive transmission pays enormous dividends. Not only does the lack of a traditional transmission drastically reduce the overall weight of the Insight, but it also ensures that it is far more responsive than most conventional hybrid vehicles. Whereas acceleration is generally a bit lagging on most gasoline-electric hybrids, the Insight responds the second your foot touches the gas. That is because the majority of its forward momentum comes directly from the electric motor, which makes driving the Insight around town a breeze. In fact, the electric motor is so efficient that you can drive up to a mile or more at lower speeds before the gasoline engine ever has to kick in. The 2019 Insight also excels regarding overall style and comfort. In fact, it might just be one of the most handsome and well-appointed vehicles in the Honda lineup and one that is potentially poised to give the Accord a run for its money regarding being the best four-door Honda sedan. Its sleek, graceful curves from front to rear give the Insight an eye-catching exterior style, while the spacious, elegant interior features all of the modern comforts and conveniences. 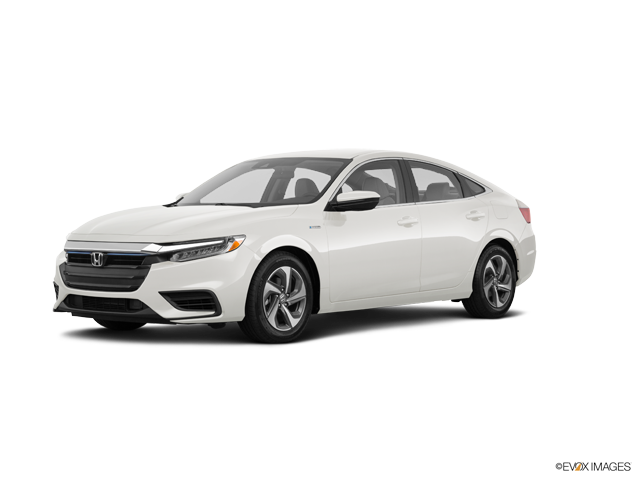 As you can see, there is a whole lot to love about the new 2019 Honda Insight. In fact, it is already proving to be much appealing even to those who weren’t initially in the market for a hybrid. Still, the only way to fully understand why the Insight is far more than just a hybrid is to see it for yourself in person and step behind the wheel. In this sense, one of the best things you can do is make time to visit us at Bosak Honda Highland. Our friendly sales staff are always on hand to answer any of your questions, and it would be our pleasure to arrange a test drive of the Insight or any other new Honda vehicle on our lot. * Manufacturer’s Suggested Retail Price (MSRP) excluding tax, license, registration, $895 destination charge and options. Dealer prices may vary. ** Based on 2019 EPA mileage ratings; Use for comparison purposes only; Your mileage will vary depending on how you drive and maintain your vehicle, battery pack age/condition, driving conditions, and other factors.